It's getting so close to Easter!!! We are still doing Easter Crafts. Here are our latest two crafts, which use plastic Easter eggs. My daughter has already claimed both of them for her room!!! I saw a cute tree shaped Easter display in a window at the mall last week and I wanted to try it. 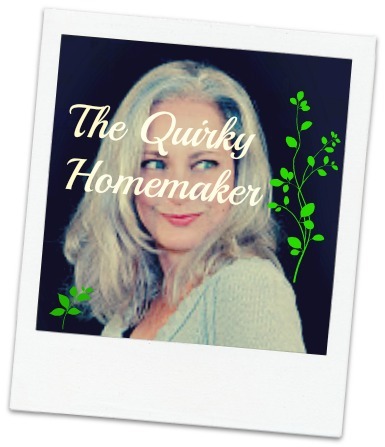 For the life of me, once I got my stuff home I couldn't remember what my "inspiration" looked like. 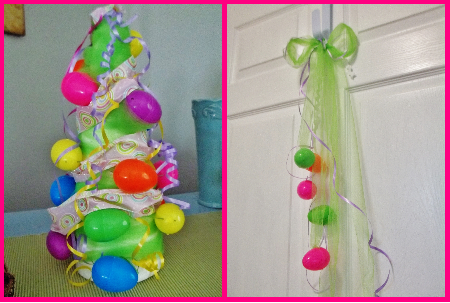 I had an idea of how I wanted to start the Easter tree craft, but none of my ideas were working. The problem I had was that I wanted to be able to reuse the foam cone for another use in the future, so I didn't want anything I put on it to be permanent. This is how I ended up doing my egg tree. We threaded a large needle with embroidery floss and threaded plastic eggs on end to end. Then I taped the embroidery floss to the foam cone, circling the eggs around to the top. After the eggs were on, we wrapped 6 inch tulle around the foam cone form. Then we added different fabric and curling ribbons to decorate it. 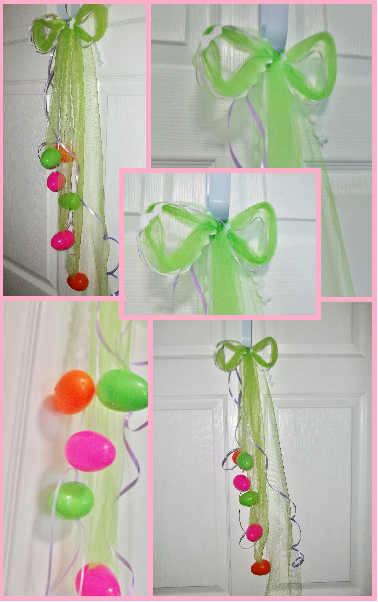 When I was at the craft store getting the foam cone form, I saw a hanging rafia bow that had Easter eggs hanging from it. I thought maybe I could do something like that with more of the green 6 inch tulle. It used a couple feet of the 6 inch tulle, a couple feet of ribbon or other decorations and 6 eggs. All you have to do is lie all the tulle and ribbon down to gather them together, then tie them into a bow. If your ribbon isn't too thick, you should be able to snap the eggs closed onto the end of the ribbon and they'll hang that way.